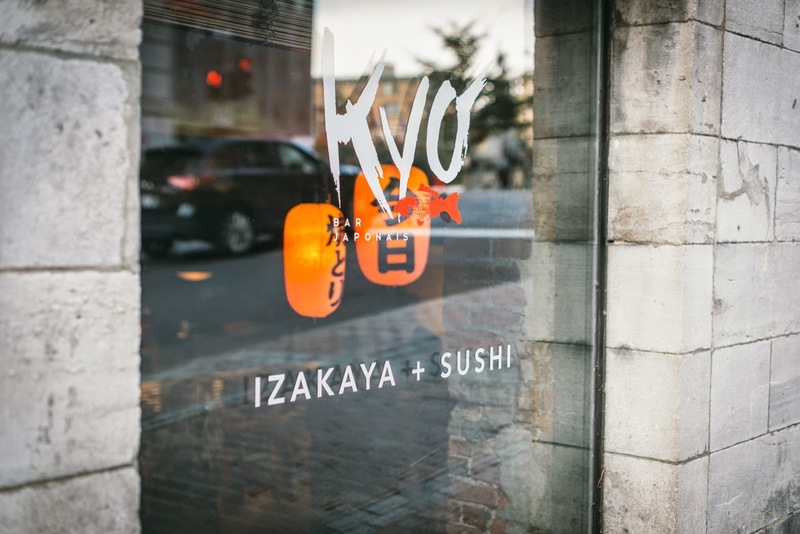 I recently received an intriguing invitation to celebrate the first anniversary of Kyo, an upscale Japanese pub located underneath the Hotel Place d'Armes. Since I like a good comforting pub as much as I fancy Japanese food, I was thrilled to discover this unique kind of eatery and to experience the izakaya atmosphere. What's an izakaya? 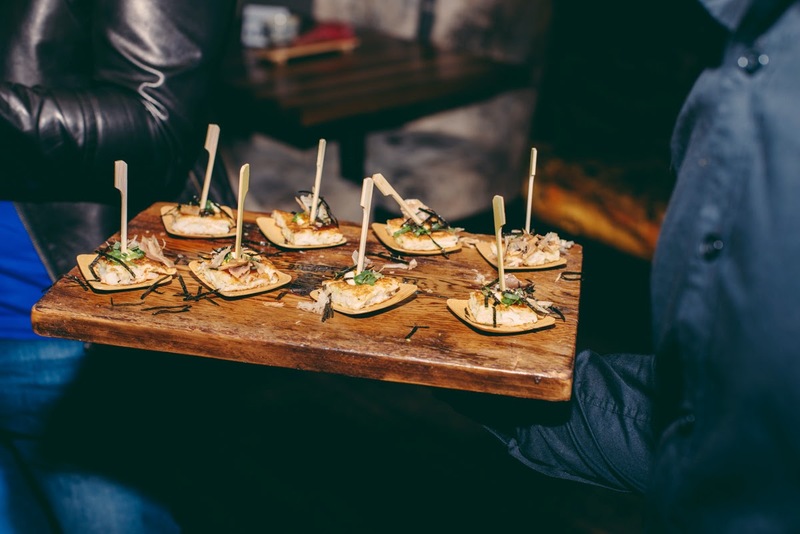 Our charming host, Chef Terrence "Ding" Ting explained that it means "sake stay shop" and that it refers to these drinking establishments where customers can eat and share small plates of comfort food. It's a very laid back kind of watering holes where people go to relax after a long day at work. Our evening at Kyo started off with refreshing raspberry cocktails and an impressive assortments of mouth-watering sushis and sashimis. We also tasted other Japanese delicacies such as gyoza dumplings and jumbo fried shrimps with wasabi mayo. Everything was beautifully presented and just scrumptious. 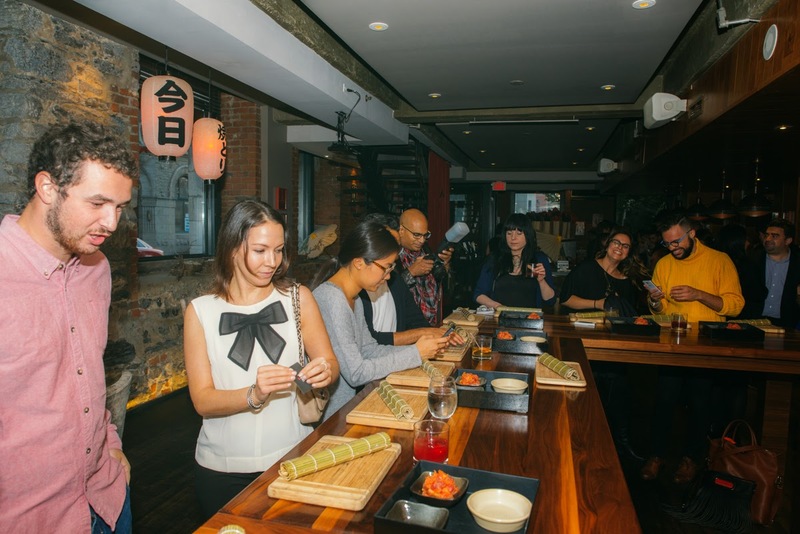 To immerse ourselves deeply in the Japanese culture, three different stations had been put together for the guests to try. 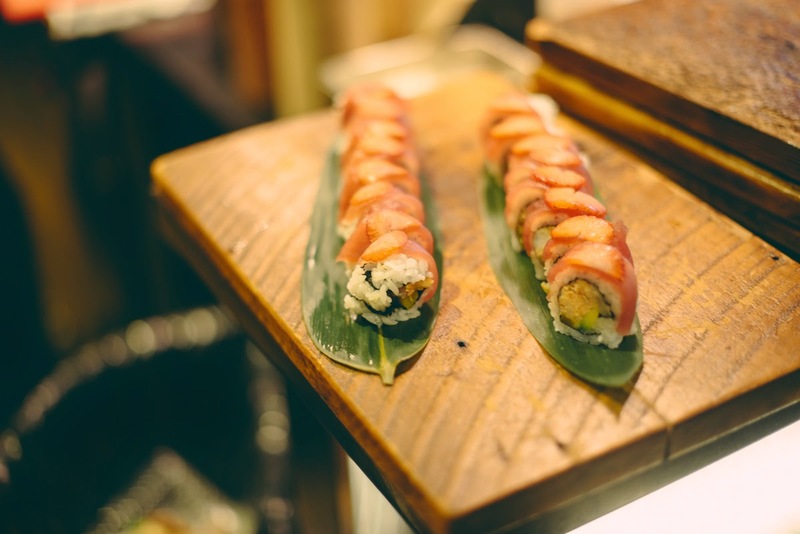 I first had the opportunity to learn how to make sushi rolls along with the Chef. I was carefully following his instructions until one point where I got caught up in a discussion with my fellow sushi makers and inadvertently put my avocados upside down! They were very good even though my rookie mistake. Then, it was the sake tasting done by a sake expert who explained the history, the brewing methods, the distinctive flavours and the most distinguished labels. It was an enlightening session. The sake sommelier offered us to taste 4 different selections, some filtered, other unfiltered as well as sparkling sake for a more cosmopolitan taste. I even tried a lovely pink one, which was surprisingly delicious. The last station was all about SHŌ'CHŪ, a hard liquor distilled from a variety of grains and vegetable. At Kyo, it is usually served with fresh fruits such as watermelon, lime or mango that you muddle and mix together. A friend offered me a sip from his drink without warning me about the fact that it is quite a strong cocktail. 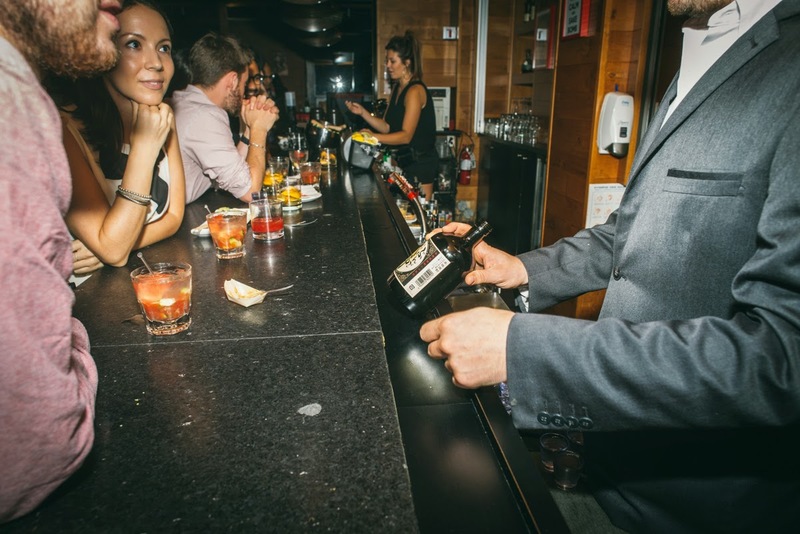 Be warned, this rare alcohol is not for the faint at heart! I don't think I have tried anything like it before. Even vodka appears like a mild liquor in comparison. All in all, it was a memorable evening. I particularly enjoyed the cozy ambiance. There is something about the rich wooden furniture, the dim overhead lights and the welcoming staff that makes you want to unwind as you step into this pub. But what really stood out for me is the quality of the food. Although very simple, all the dishes were quite elegant and delightful. I look forward to coming back with a couple of friends, I'm sure they will get a kick out of it.